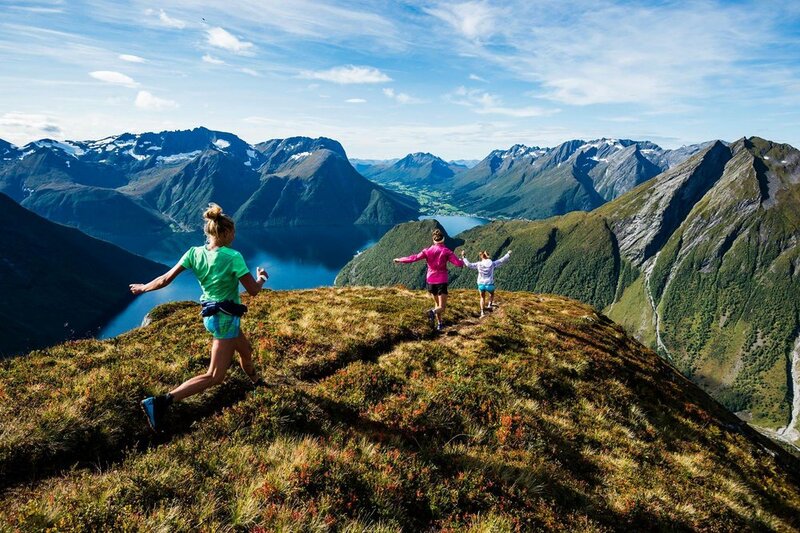 I STILL CANNOT BELIEVE I WON THE SALOMON RUNNING DREAM TRIP TO NORWAY WITH EMELIE FORSBERG AND IDA NILSSAN! WATCH the video above which is by Salomon TV, which was created by The Wandering Fever - a truly exceptional production team headed by the fun and so creative Dean Leslie! Photos from the trip were taken by none other than Mattias Fredriksson! I NEED YOU QUESTIONS to make a video! Help me create a few videos and Blog posts about the trip by asking your questions below in the comments, on Instagram, Facebook or Email. We want to share with you all as much as we can about this incredible life changing experience! Ida, Myself and Emelie running down a ridge in Norway! My POD where I talk about HOW I WON, and more!